The president of the Parents Television Council recently dubbed American Horror Story: Hotel “the most vile and shocking content I’ve ever seen on TV. Ever.” It’s too grisly and dark for my taste, as well. One thing I think all viewers can agree on, though, is that the show’s scenery is nothing short of spectacular, especially Hotel Cortez, where most of the story takes place. 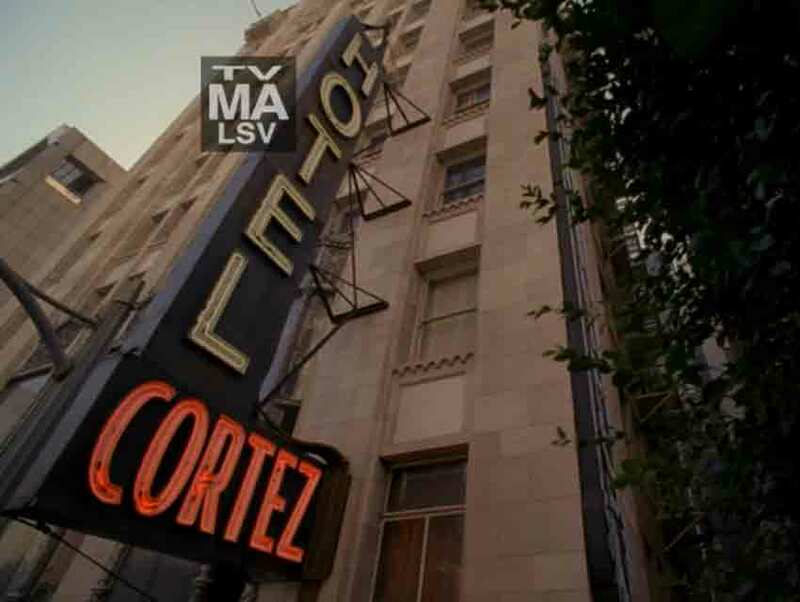 In reality, Hotel Cortez is a mash-up of several different L.A. locations, most of which are accessible to the public. Contrary to popular belief, the former Cecil Hotel (now Stay on Main Hotel) at 636 South Main Street in downtown is not one of them. While series creator Ryan Murphy has said that the mysterious 2013 death of 21-year-old Vancouver tourist Elisa Lam at the Cecil inspired American Horror Story’s current season (which has driven hordes of fans to check into the property), no filming has taken place on the premises. Instead, a much more ornate property stands in for the Hotel Cortez. Fans wanting to catch a glimpse of the structure used in exterior shots should head to The Oviatt Building at 617 South Olive Avenue. The Art Deco-style masterpiece was designed by the Walker & Eisen architecture firm in 1928. The Ovaitt’s bottom floor originally housed the Alexander and Oviatt haberdashery, but it was transformed into the exclusive Rex Il Ristorante in the late 1970s. When owner Mauro Vincenti passed away in 1996, new owners took over and renamed it Cicada Restaurant. Rex’s interior, which was based upon the design of an Italian cruise ship, was left intact. 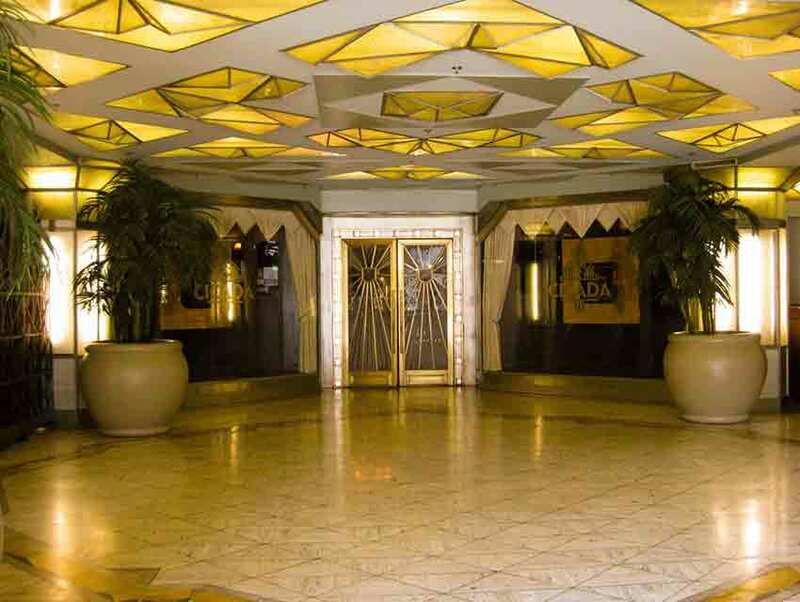 Hotel Cortez’s actual two-story lobby exists inside a soundstage at Fox Studios, but its designers modeled it off of Cicada, complete with a working elevator and a mezzanine bar. The re-creation is such a perfect representation of Cicada, in fact, I was convinced for a time that filming had actually taken place inside the historic restaurant. If the interior of Cicada looks familiar, it should. One of the most famous scenes in all of moviedom takes place there: Julia Roberts famously tosses an escargot shell across the room there (then Rex Il Ristorante) in Pretty Woman. 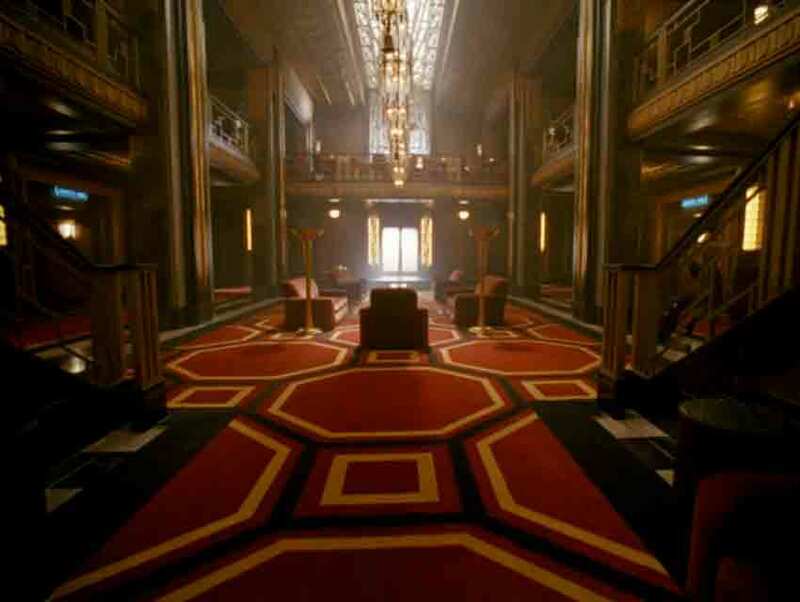 Like the lobby, Hotel Cortez’s rooms and hallways are part of the show’s elaborate six-story set at Fox Studios. 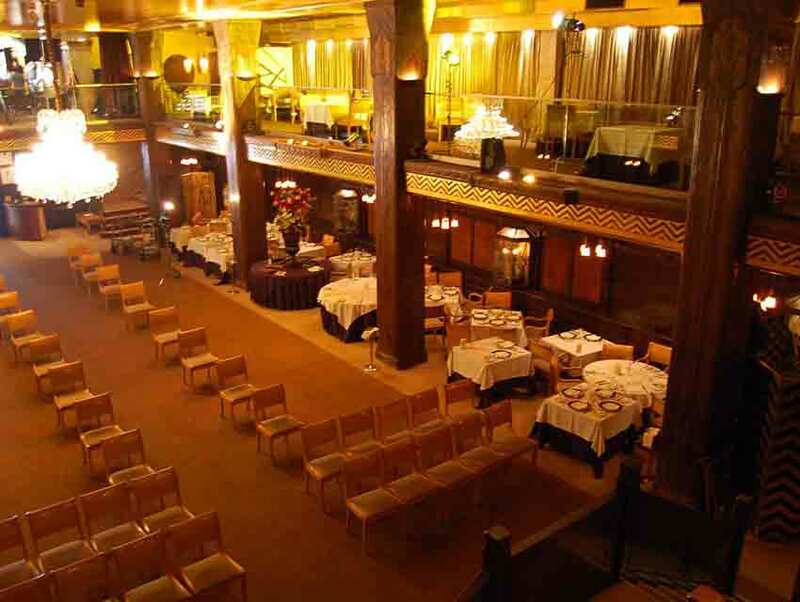 But the inn’s ornate wood-paneled ballroom, which Hypodermic Sally (Sarah Paulson) says was once used for puppet show performances, is a real location: the lower level of the Los Angeles Theatre at 615 South Broadway. The absolutely gorgeous space can be viewed on the Los Angeles Conservancy’s Broadway Historic Theatre and Commercial District Tour. My husband and I took the tour in June and I highly recommend it. Other real-life locations that appear in American Horror Story: Hotel include The Majestic Downtown at 650 South Spring Street, which masks as the police station where Detective John Lowe (Wes Bentley) works; the Loews Hollywood Hotel at 1755 Highland Avenue, where the murder of the adulterous lovers takes place in the episode titled “Checking In”; and Hollywood Forever Cemetery at 6000 Santa Monica Boulevard, where The Countess (Lady Gaga) and Donovan (Matt Bomer) attend a showing of Nosferatu. For those wishing to have an American Horror Story: Hotel experience on Halloween, Cicada Restaurant is hosting a dinner and dance party featuring Dean Mora and his “Haunted Orchestra.” It’s unclear if the mattress creature will be making an appearance.